Vine is the popular social network based on videos has launched the official application for Windows Phones. 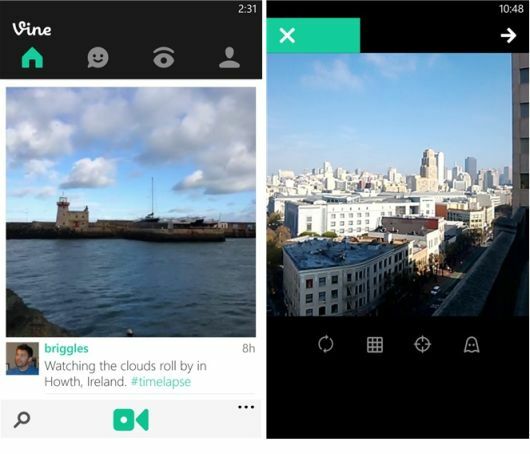 Vine was acquired by Twitter and launched the feature of capture short looping videos in 6-seconds. And you can share the 6-seconds videos instantly on social networking sites. Already Android and iOS versions of this app available, so Windows Phone users were used another third party app named 6sec. Vine for Windows Phone app is similar to Android and iOS versions. You can just tap and hold screen to capture new videos. There are different camera tools available to customize the video quality and you can use your front facing camera to take videos. Windows Phone version has some unique features that you can pin your favorite vine accounts and channels to your home screen, quick shortcut from default camera app and start screen shortcut to record videos faster. Instagram also implemented its own app similar to Vine later. Vine app is now officially available on Windows Store and you can download for free. The app works with Windows Phone 8 operating system. Download Vine for Windows Phone.